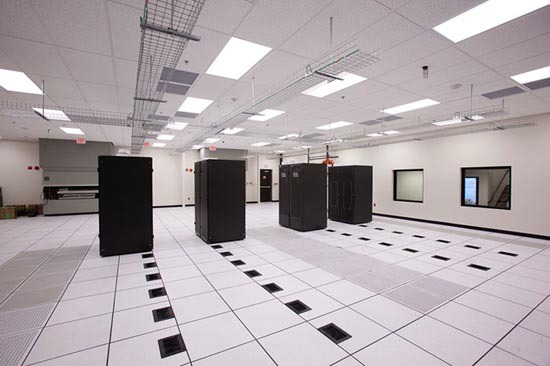 One of the most important planning considerations for your data center is getting the right uninterruptible power supply (UPS)—after all, without power, your data center is useless. The common industry wisdom has often been that getting a bigger power supply is better, with many companies going for oversized units and wasting energy as a result. In this article, we will discuss why a modular system can work better for your company and save you money as well. Uninterruptible power supply is often measured and sold in terms of kilovolt-amperes, or kVA. However, when you calculate the needs of your entire data center, you will likely calculate a total kilowatt (kW) output. It’s important to understand that kW to kVA is not a 1:1 ratio, and generally you only get about 80-90 percent real power out of a kVA system, meaning that a 100 kVA UPS can usually deliver only 80-90 kW of real power. Therefore, calculating needs on a kW basis and using that to determine how many kVAs you need can leave your data center short on power. When you are planning your data center, account for the difference so you can properly plan for the right amount of power. Next, calculate the power needs of your data center today (in kilowatts), then increase that number to about 125 percent to account for the difference in kVA and kW. Choose the next highest standard size above your calculations to give you a little bit of room for growth in the immediate future. One common pitfall that companies run into here is deciding that, even though they do not need all the capacity right now, they will simply purchase the largest uninterruptible power supply so they can use it if and when they need it in the future. The problem with this scenario is that a larger UPS requires significant amount of energy to power and cool, so running one with more capacity than you need is wasting money in the meantime. In addition, a UPS running at lower loads is less efficient. However, it is also important that a company does not purchase an uninterruptible power supply that only has enough capacity for the power needs today. It is almost guaranteed that your power needs will grow in the future, so you will quickly outgrow a system that only meets your needs today. Instead, companies should look for solutions that allow for modular growth, like the ones offered by Gamatronic. A modular UPS system will allow you to purchase more than what you need today in anticipation of future growth, then disable the parts that you are not currently using. These systems may cost a little more up-front because they give you the flexibility to expand, but can save you significant amounts of money through energy and power conservation today, and by providing quick and easy access to more power when you need it in the future. Properly sizing your uninterruptible power supply is important to ensure that you have all the power capacity you need to run your data center, but also to ensure you are not wasting energy powering and cooling a system that is too big for your immediate needs. This entry was posted in Back-up Power Industry, computer room maintenance, Datacenter Design, Mission Critical Industry and tagged Uninterruptible Power Supply, Uninterruptible Power Systems, UPS, UPS Batteries, UPS Systems. Bookmark the permalink.